By: Steve Blackwell – 30-year First Responder, Chief Deputy (Retired) and Current Hero Outreach Coordinator with Homes for Heroes®. It’s not easy being a first responder in today’s world. The increasing demands and challenges to do more, train more and give more of yourself to your profession has never been more prevalent. As police officers, firefighters, paramedics and EMT’s, we experience things on a daily scale that the average person would have a difficult time dealing with as a one-time incident. The profession of a first responder is demanding more and more from us, we tend to pay less attention to taking care of ourselves. Sadly, for many of us, it is our family and personal lives that begin to suffer, ultimately affecting our professional lives as well. 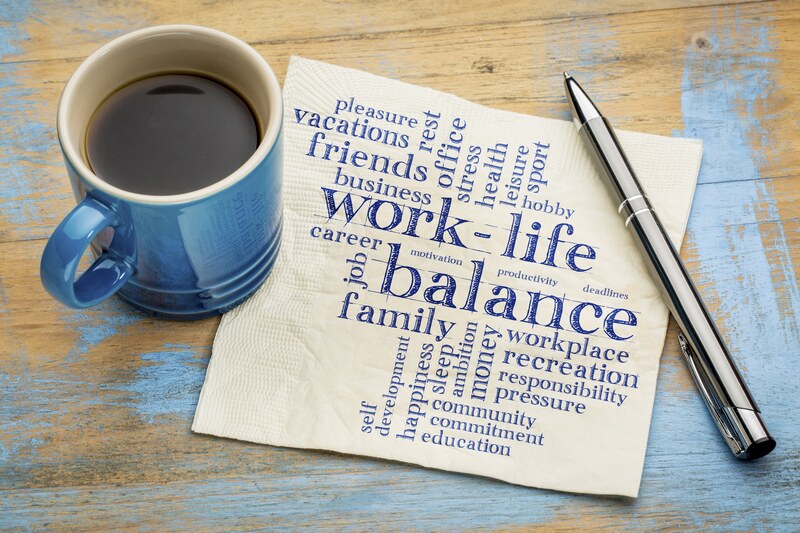 So what can we do for ourselves (and our loved ones) to balance our professional demands with our personal obligations to maintain that healthy work-life balance? Here are 5 good habits that highly successful people embrace that could also help us as first responders stay healthy and successful in our lives and careers. This is a common theme among those that have successfully risen to achieve their goals while maintaining a happy home life. Make a schedule and build time into it for family, friends, and activities away from the burdens of your profession. This makes your decisions to take on more commitments much easier to manage. This may sound simple, but the most noticeable sign of a person having difficulty with balancing work and life is their time management. Increased sick time usage and tardiness rank as the highest indicators of someone struggling with balancing the demands of work and life. Taking ownership of your time can be a big step to keeping yourself on a positive track. Dedicate time in your schedule to take a knee, allowing yourself to decompress and relax. Make that alone time for yourself or family to foster positive activities and help clear away the negative energy from the daily burdens of the job. This is a great way to recharge your batteries and refocus your energy for the next day. Finding ways and resources to free up time in your schedule can be challenging. However, the benefits you gain, especially long term, are worth the time and effort. Easier said than done for police officers, firefighters, paramedics and EMT’s who deal with the negative in our society every day. We still have the ability to control the negative energy that drains our spirit. Why take on more than we absolutely have to? This includes negative people and influencers, such as social media sites that increasingly have turned into sounding boards for individuals who seek to shame, blame and agitate rather than promote positive messages. Seek out activities, influencers and people that enhance your life and career by cultivating and growing positive interactions and relationships. Seek out and determine the positive intent in the activities and interactions you are planning or challenged with. Let that be the measuring stick for deciding what is important for you to commit to and what you need to stay away from. Ask yourself if this activity or interaction is going to enhance you personally and professionally, or is it going to take energy from you. Once again as a first responder, there are going to be times when we cannot avoid the negative. Acting with positive intent, even in many of our high-stress actions and interactions can be a great asset, keeping us in the proper mindset to do our jobs safely and successfully. We hear it all the time, get some exercise. Another common theme among successful people. Some exercise is better than no exercise. It doesn’t have to be high-intensity training. Determine your “positive intent” for needing more exercise and use the many resources available to put together a plan of action. This could be that alone time you put on your schedule or that family time doing activities that strengthen you and your family. Exercise becomes a great way to de-stress your body and mind and help recharge your batteries. These 5 habits are certainly not the only ways to bring about a healthy work-life balance, but they do offer a foundation to build upon and help put ourselves on a healthy path. Building resiliency is important for people in high-pressure professions like ours. We owe it to ourselves and our family to do the things that can help us avoid the slippery slope to permanently damaging our relationships and careers.